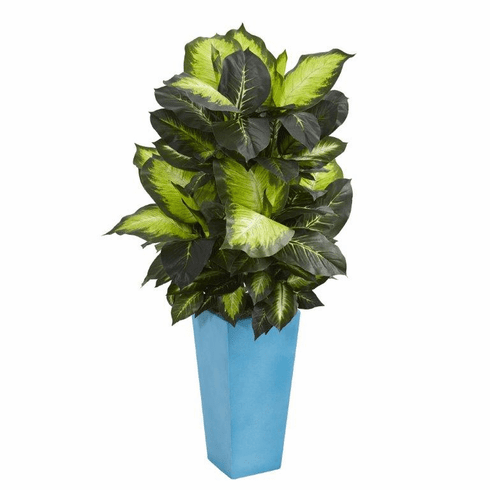 White, dark and light green blend to create the beautiful variegated leaves of this golden artificial dieffenbachia plant. If those colors weren't enough to catch your attention, then the turquoise planter that comes with it will surely make you pause in your tracks. Let your guests see this beauty by sitting it on a tall side table next to your couch. Size: Height: 4.5 Ft., Width: 24 In., Depth: 24 In.